Sailboat excursion at Little Water Cay. The Beluga sailing charter at Leeward Going Through, Providenciales. 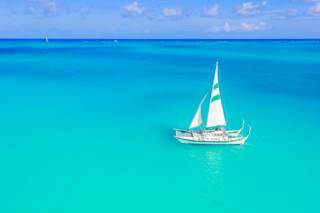 If you’d like to experience the timeless elegance and tranquillity of sailing, there are several perfect charters to choose from in the Turk and Caicos, on vessels ranging from a classic rum runner schooner to expansive catamaran yachts. It’s refreshing to enjoy the incredible marine environment and crystal-clear turquoise water of the Turks and Caicos without the distraction of engine noise. Sailing adventures are great for the whole family. There’s plenty to occupy kids, from beachcombing for seashells to spotting JoJo the Dolphin. 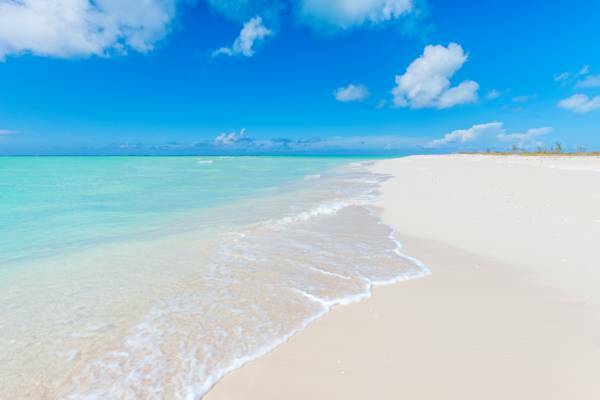 As is the case with many of the boat tours in Providenciales, most sailing tours visit the exquisite and uninhabited cays between Providenciales and North Caicos. This archipelago includes the iguana sanctuary of Little Water Cay, the exquisite Half Moon Bay, Water Cay, Pine Cay, and Fort George Cay, where 1700s cannons can still be seen in the shallow water. The Turks and Caicos Rock Iguana is a feature of many boat cruises from Providenciales. This docile large lizard is found on small of the uninhabited islands in our archipelago, and often greets visitors to Little Water Cay and adjacent Half Moon Bay. The visitor’s centre on Little Water Cay offers the rare opportunity to easily and responsibly see a critically endangered animal in its natural environment! Snorkel tour on the Caicos barrier reef with the Atabeyra schooner. 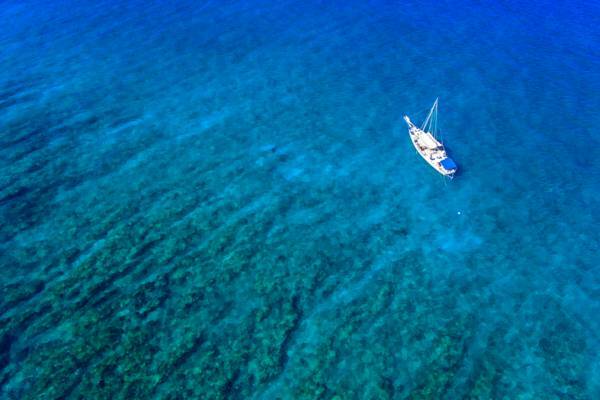 There are some great snorkelling reefs in the area as well. The Caicos barrier reef is found close off the cays, and is home to an incredible collection of corals, sea fans, colourful fish, turtles, stingrays and nurse sharks. The shallow barrier reef is a really beautiful environment, with a complex system of coral formations. There are gullies, majestic coral arches, and small caves. The surface of the reef often supports beds of yellow sea fans, which wave back and forth with the gentle ocean swell. Most cruises will stop at least one snorkel spot, and many visit several so you’ll be able to see underwater settings ranging from the sheltered interior reefs to the awe inspiring deep blue off the wall. Sailing off of Water Cay. Most sailing excursions either serve food and snacks on board, or will stop at a secluded beach for lunch. This can range from sandwiches to a BBQ feast cooked fresh on the beach. Many popular dishes in the Turks and Caicos incorporate the queen conch, a giant sea snail that can be found in the sea grass beds that surround the Turks and Caicos. During the conch season, which typically is from late October to early July, guests are often able to dive for their own conch – a fascinating experience. Conch salad, where diced raw conch is combined with acidic fruit and vegetables, is a very common way to serve conch when out on the water. Drinks are typically complimentary on charters throughout the day, including soft drinks, bottled water, and rum punch. The Turks and Caicos is an amazing place to watch the sunset, and there’s no better setting than on the water. You’ll never know quite what display you’ll get. Some days it’ll simply a tranquil setting in a golden sky, other days can offer breaking colours. If the weather conditions are just right, you may see the elusive green flash too! This astronomic effect is observed as a brilliant spark of green light just as the sun sets. The beach at Fort George Cay. Many sailing excursions visit the uninhabited islands near Providenciales. Many of the sailing vessels at Providenciales can be chartered for private tours, which is great for groups, large families, and those seeking additional tranquillity and privacy. Private trips will typically give you greater control over the destinations, activities, and catering choices as well. Many charter companies are happy to accommodate weddings or other special events, and have quite a bit of experience catering to these important occasions. It can take quite a bit of time and planning to ensure that arrange all aspects, so we advise contacting potential charters and making reservations well in advance of your event. The Turks and Caicos has several excellent and creative photographers and videographers, who beautifully preserve the memories of your day on the water. It’s possible to have amazing underwater and drone shots taken, which can really exemplify your event in the Beautiful by Nature Turks and Caicos. 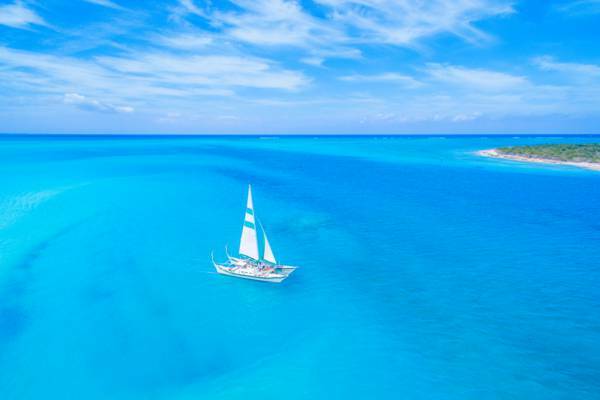 Sail Provo in the turquoise waters of the Turks and Caicos. 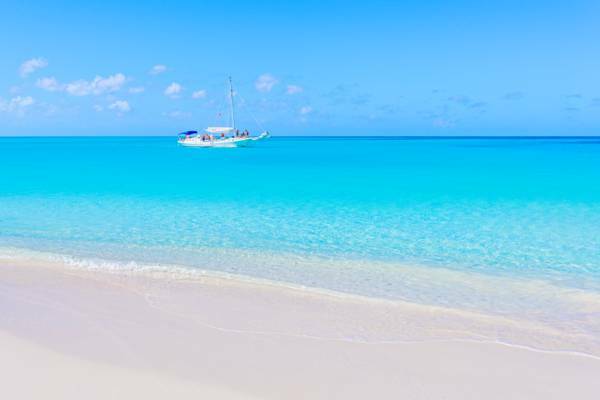 The Turks and Caicos doesn’t quite have as wide a selection of sailing charter vessels as it does motorized options, and for this reason we advise booking well in advance of your planned visit. Many tour companies offer 2-3 public cruises per week, with the remainder being private excursions. Often, this is one or two public sunset cruises and one snorkelling trip. The public cruises are often competitively priced compared motorized tours. It’s important to be aware of cancelations policies before booking. Due to the local business’s inability to rebook with short notice, all or a large percentage of the excursion cost is charged if the booking is cancelled within a few days of the departure date. In the case of adverse weather conditions, the tour company will typically work with guests to reschedule at no additional cost. Nearly all tour sailboat vessels in the Turks and Caicos are equipped with engines in the case of the wind not cooperating, so the weather usually doesn’t interfere with trips! Built by its current captain in 1982, the Beluga is a 40 foot Polynesian-style catamaran. 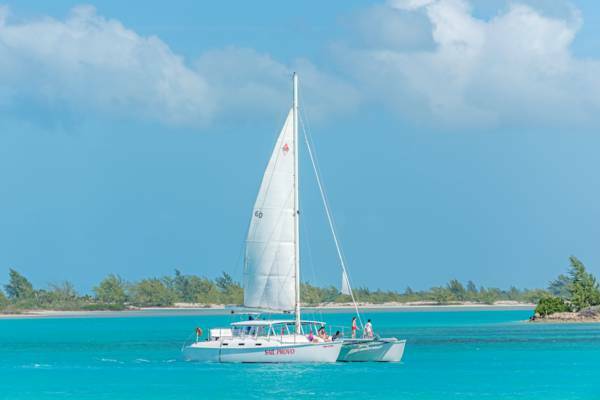 Several different cruises are available, including visits to the spectacular beaches of the uninhabited Caicos Cays, snorkelling cruises, and the ever popular sunset sails. Last reviewed by an editor on 5 January 2019.